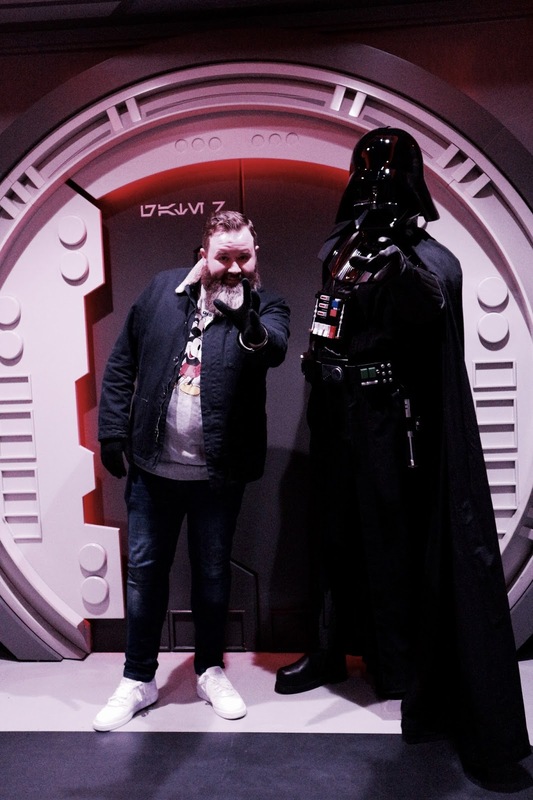 Being the wonderful wife that I am, and the fact that it was the perfect excuse to head over and see my best friend, I finally caved this February and took Conor to experience the Season of the Force at Disneyland Paris Resort. Season of the Force is essentially a Star Wars-fest that spans both parks, including everything from daytime shows to nighttime spectaculars to ride overlays to character meet and greets. 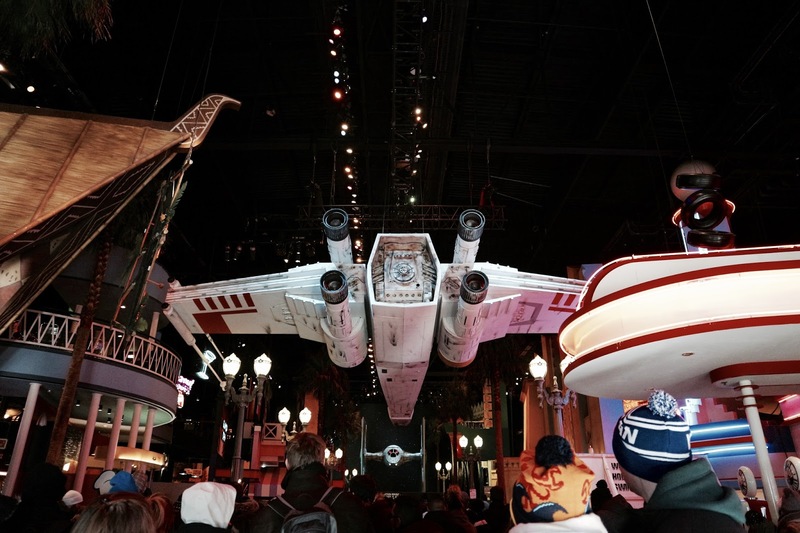 if you're even the slightest smidge of a Star Wars fan it's pretty much the dream - there's something for everyone and the perfect excuse to take on the bitter winter weather for a theme park fix! 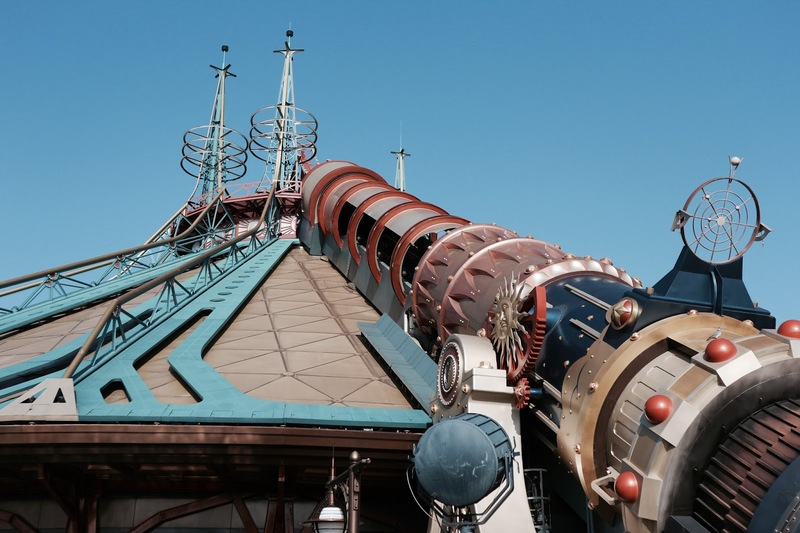 The event is so huge and there's so much to do, so I've put together a list of my top nine most unmissable moments from Season of the Force at Disneyland Paris Resort. I won't lie, this was the key reason for me wanting to come to this event. I was interested to see how the park had made the Star Wars theme fit with the immersive and detailed Jules Verne theme of Discoveryland. And honestly, they haven't done a bad job! Sure, once you get inside the mountain itself it pretty much all goes to pot, but the trains are absolutely stunning and are the perfect blend of Star Wars and Jules Verne, two themes which I never thought would compliment each other as well as they do in this iteration. Plus the new trains are SO much more comfortable. I'm not a huge fan of the chest harness-style restraints (especially as they tried to rip my hair from my scalp...) but the seats are such an improvement - no longer do you feel like you're stepping into a rattly ol' bucket when you board the trains. The on-board audio is much improved too. I won't pretend like I prefer the Star Wars soundtrack (although the initial scrolling-credits score as you despatch was pretty damn cool) but the quality is so much better. My French isn't amazing but I could easily get the gist of what the OBA was telling me as we made our way around and it really adds to the drama of the narrative! The effects are fabulous too. Yes, it's a lot of screens, but the speed at which you fly past them means you barely notice. Sure, more physical theming would have been preferable, but considering this is just a temporary overlay it makes sense to me that the park chose not to invest too much in these bits. The Star Wars character meet and greets are so much fun. Meeting villains especially is always a highlight for us, so it's an absolutely must to meet Vader during Season of the Force! I love these dedicated meet and greet areas, they do such an amazing job of really building the anticipation and excitement for the 'big reveal' and damn...Vader is SO intimidating. He's absolutely massive and really does leave you cowering - exactly what you want from a villain meet and greet no? If you are a Star Wars fan then you will absolutely die for the Season of the Force merch. I know I always say this when I talk about the Star Wars theme park stuff on here, but I am not a big Star Wars fan in any sense of the word, but damn the merch is absolutely outstanding. 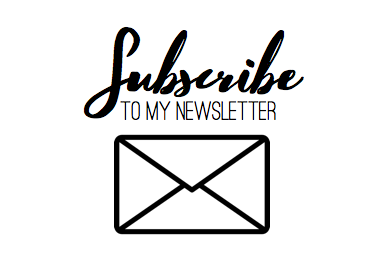 Everything from build your own R2D2 models (complete with Mickey ears, obviously) to themed mugs to plushes to kitchenware. The range is absolutely wild and I challenge anybody to visit Season of the Force and not come back with at least a Porg plushie! Prior to the Star Wars: A Galaxy Far, Far Away show make sure you make time to get a front row spot for the First Order march. There's something so fun and exciting about seeing a battalion of Storm Troopers intimidatingly marching towards you, lead by the shiny and chrome Captain Phasma. The best bit is that the Storm Troopers branch out slightly and have the ability to physically stop to give you orders - such great character interaction and definitely not one to be missed. I know the ride has been updated for a while now, but for Season of the Force you'll get the chance for a first peek at brand new scenes inspired by Star Wars: The Last Jedi. 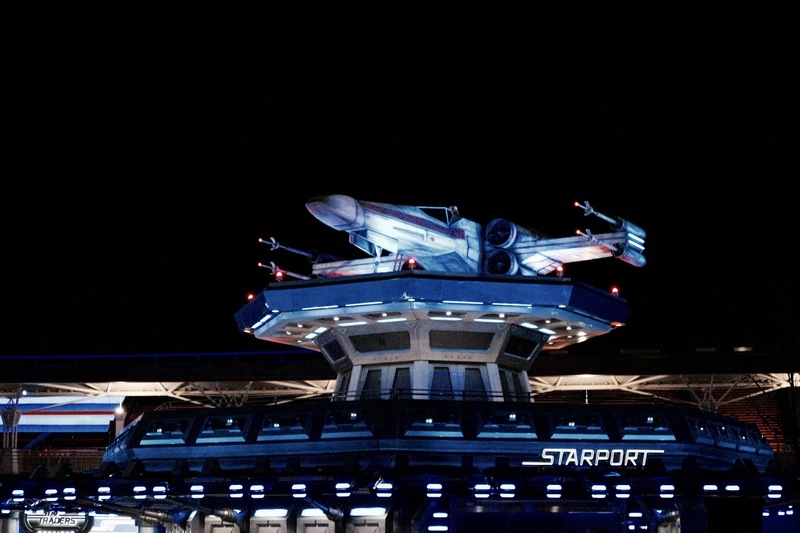 I absolutely adored the old iteration of Star Tours - I think it has a lot to do with the soundtrack, but the update really is incredible. The 3D upgrade is spectacular and the new scenes are stacked nods to all the little Star Wars in-jokes. The ride is still absolutely superb, but top tip - make a bee-line straight over to this attraction as early as you can as it gathers a large queue quickly! 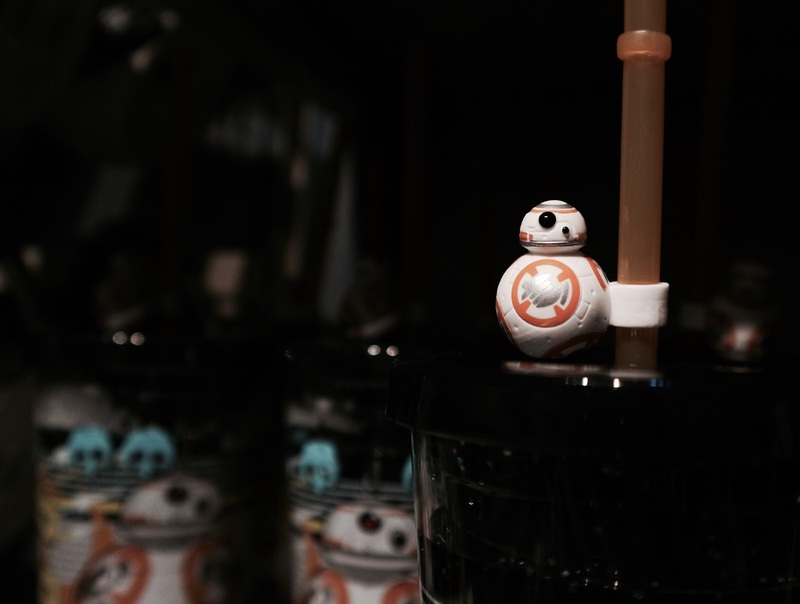 Sure, technically this activity is meant for kids, but hey, get into the Star Wars spirit! Mix and match styles and personalise your very own lightsabre to carry around with you for the rest of the day to truly embrace the season! The Walt Disney Studios definitely feels like more of a hub for the Season of the Force action, and everything from the entrance soundstage to the main courtyard just screams Star Wars. The best part? You can find Star Wars vehicle props in pretty much every corner of the park! For the stars of the show, head to the main entrance soundstage to check out life-size props of TIE fighters and X-Wings. I really wish there were more Star Wars character meet and greets, but the next best option to meet your favourite Star Wars characters is to check our the Star Wars: A Galaxy Far, Far Away in the Production Courtyard of Walt Disney Studios. It's essentially a who's who of the best and the worst of the Star Wars universe, including the newest characters like Kylo Ren and Rey, all accompanied by fabulous pyrotechnics and a kickass soundtrack. 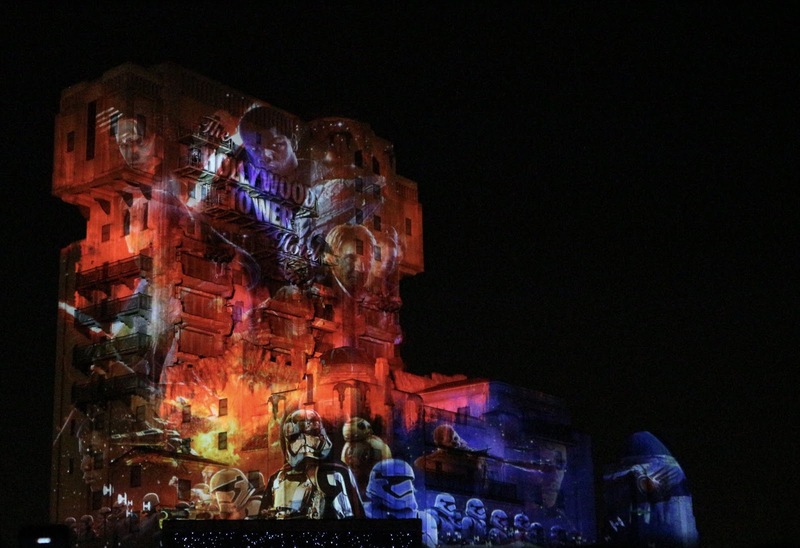 It wouldn't be a Disney event without an exhilarating night-time spectacular, and Season of the Force is no different. Honestly, I was a little unsure about the idea of projection mapping onto my beloved Tower of Terror, but holy crap - this show is incredible. It's hard to put into words just how incredible this show looks. From the word go everything is amazing - the lights, the fireworks, the music, the visuals. I had goosebumps from the second the lights went down and they didn't let up until we'd left the park for the night. It's absolutely obscene how perfect this show is - the perfect cherry on top of the Season of the Force at Disneyland Paris Resort! And if that doesn't convince you to book tickets, I'm not sure what will! Season of the Force runs in both parks until March 25th 2018, although I'm sure it'll return for another run in 2019. Either way, try and get yourself there to experience it because I guarantee you'll love it.